In such a digital era as today’s, when you can buy anything with just a click and read by swiping a finger, we sometimes miss something as human as a touch, and everything that entails. 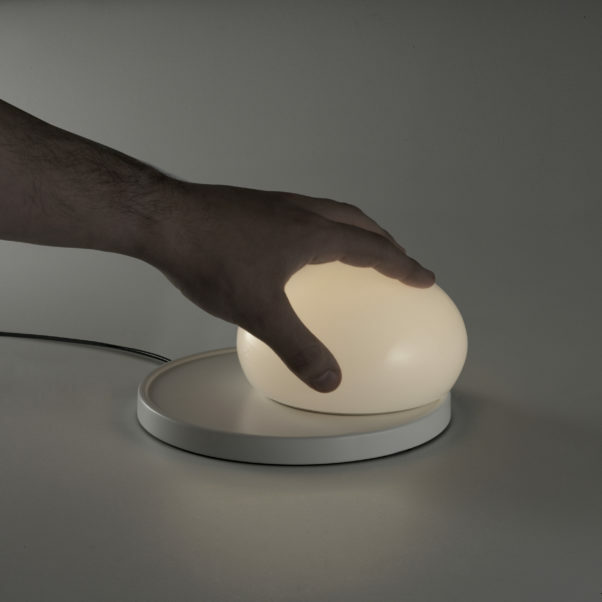 The new Bolita lamp beckons you to touch it to adjust it. Its structure is as simple as it is magical: a rounded surface that houses an LED located on a central axis, and an overlapping glass sphere that when moved, creates an eclipse effect. Moving the Bolita dims or boosts the light, an interplay that captivates with its beautiful visual effect. Bolita seeks out that user interaction. The idea of Florian and Sebastian at the Kaschkasch studio was to design a lamp in which the dimming process was mechanical and not electronic. A technologically innovative design that brings back the sense of touch.